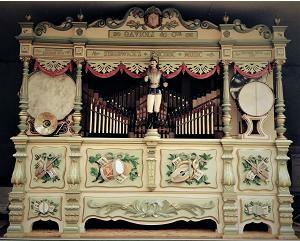 For more than 45 years the family run business of Dean Organ Builders have been manufacturing new mechanical fair organs, for both private and commercial customers. 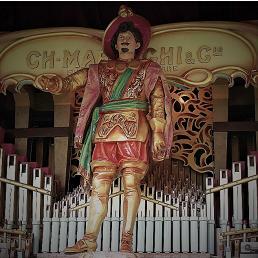 During this time we have become one of the most experienced producers of decorative facades and organ figures in England. With our vast experience of manufacturing new fair and concert organs we can offer a bespoke service to create an organ facade to suit your requirements and budget. Over the past 45 years we have not only made our own carvings to our own designs, but we have amassed one of the largest archives of historical fair organ carving patterns and moulds. This archive enables us to reproduce carvings and complete facades based on historical designs. We can supply from single carvings to complete facades. These can be supplied in moulded resin, carved in wood or a combination of the two depending on budget and application. At Dean Organ Builders we offer a façade design service with a wide choice of styles. We can take an initial idea from the concept stage to reality. You can be assured when you buy a new Dean organ Façade that you will benefit from our experience in tailoring a design to suit your requirements. We offer both new build facades and a restoration service to restore historical facades. 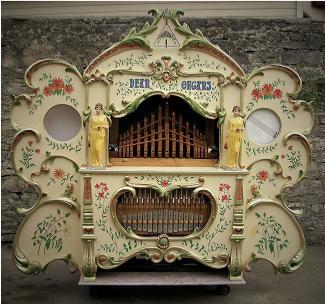 At Dean Organ Builders we offer a choice of styles for the façade of your new organ from the brightly coloured traditional British fairground style to the pastel coloured classical perhaps incorporating gold leaf, the choice will be yours. We also offer various styles of organ figures: band masters, bell ringers, cherubs and putti to enhance still further the organ's facade. We have made new figures based on historical factory designs; the one in the picture was made by us based on a Marenghi cavalier design. These figures can be motorised from single movements to multiple movements. You are really only limited by your imagination and budget, as with any artists we just need your patronage to create something wonderful for you to enjoy. Not only do we have experience of building our own style and design of Facade, but our restoration and repair experience gives us an understanding of historic instruments, their style and paint schemes. This, together with our archive of original carving patterns and moulds enables us to offer new facades, based on historical examples. All of our own manufactured organ façades using our carvings and mouldings are constructed 'in house' here at our Whitchurch workshop using the finest quality materials and English craftsmanship. A huge choice of mouldings, carvings and organ figures are available, why not take a look at our project page to see just some of the work we have carried out over the years. We do have a limited catalogue of our more standard carvings that can be provided for the self builder who requires mouldings to construct his own façade. This can be sent upon request. Most of our carvings and mouldings are made to order but we do keep a certain amount of stock of the most frequently used resin mouldings. 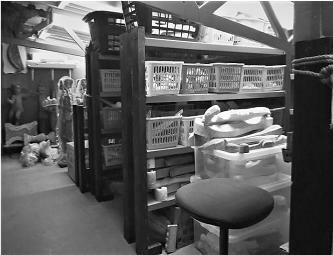 It is always best to talk to us about your project so we can advise what we may have available from stock and what our current lead times might be on specials made to order. Why not contact us today to discuss the commission of a new Façade.